CCK, cholecystokinin tion is also stimulated somewhat by vagal activity during all phases of digestion. The major stimulus for gall bladder contraction is CCK released by fat and protein digestion products within the lumen of the duodenum. CCK has two actions that result in bile expulsion: It contracts the smooth muscle of the gall bladder and relaxes the sphincter of Oddi (see Fig. 26). The sphincter of Oddi is a thickening of the circular muscle of the bile duct at its entrance into the duodenum. The sphincter is embedded in the duodenal wall, but is distinct from it. However, bile flow through the sphincter is markedly influenced by the contractile activity of the duodenum. Bile enters the duodenum in spurts when the muscle of the duodenum relaxes; bile does not enter during duodenal contraction. Table 3 summarizes the physiologically important mechanisms resulting in the secretion of bile and its expulsion into the duodenum. Bile acids returning to the liver via the portal circulation inhibit bile acid synthesis and stimulate bile production by the hepatocytes. Secretin stimulates water and HCO^ secretion from the cells lining the bile ducts. There is little or no effect of neural stimulation on bile production. 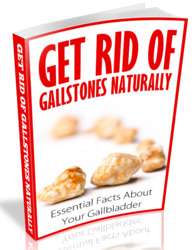 Other hormones such as CCK and gastrin do not have significant physiologic effects on bile secretion. CCK stimulates the contraction of the gall bladder and relaxes the sphincter of Oddi. Vagal activity during all three phases of the response to a meal also aids in contracting the gall bladder. 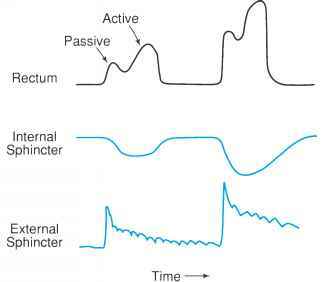 Contractile activity of the duodenal wall influences the opening and closing of the sphincter of Oddi. Argent BE, Case RM. Pancreatic ducts: Cellular mechanism and control of bicarbonate secretion. In Johnson LR, ed. Physiology of the gastrointestinal tract, 3rd ed. New York: Raven Press, 1994, pp 1473-1498. Cook DI, van Lennep EW, Roberts M, Young JA. Secretion by the major salivary glands. In Johnson LR, ed. Physiology of the gastrointestinal tract, 3rded. New York: Raven Press, 1994, pp 1061-1118. Hersey SJ. Gastric secretion of pepsins. In Johnson LR, ed. Physiology of the gastrointestinal tract, 3rd ed. New York: Raven Press, 1994, pp 1227-1238. Hoffman AF. Biliary secretion and excretion: The hepatobiliary component of the enterohepatic circulation of bile acids. In Johnson LR, ed. Physiology of the gastrointestinal tract, 3rd ed. New York: Raven Press, 1994, pp 1555-1576. Lloyd K,CK, Debas H. Peripheral regulation of gastric acid secretion. In Johnson LR, ed. Physiology of the gastrointestinal tract, 3rd ed. New York: Raven Press, 1994, pp 1185-1226. Modlin IM, Sachs G. Acid related diseases. Koustauz: Schuetztor-Verlag, 1998. Scheele GA. Extracellular and intracellular messengers in diet-induced regulation of the pancreatic gene expression. In Johnson LR, ed. Physiology of the gastrointestinal tract, 3rd ed. New York: Raven Press, 1994, pp 1543-1554. Silen W. Gastric mucosal defense and repair. In Johnson LR, ed. Physiology of the gastrointestinal tract, 2nd ed. New York: Raven Press, 1987, pp 1055-1070. Solomon TE. Control of exocrine pancreatic secretion. In Johnson LR, ed. Physiology of the gastrointestinal tract, 3rd ed. New York: Raven Press, 1994, pp 1499-1530. Suprenaut A. Control of the gastrointestinal tract by enteric neurons. Gastroenterol 2002;5:110-116. Yule DI, Williams JA. Stimulus-secretion coupling in the pancreatic acinus. In Johnson LR, ed. Physiology of the gastrointestinal tract, 3rd ed. New York: Raven Press, 1994, pp 1447-1472.